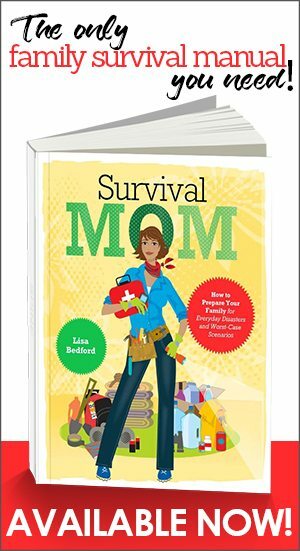 I’ve always known that the SurvivalMom gene has been around for thousands of years. Mrs. Noah set a standard for us when she held her own in preparing for a catastrophic event and living in a boat for a year with hundreds of animals and her family. We may think that stocking up on dozens of cans of soup and buckets of wheat is a new trend, but that’s hardly true! Millions of other SurvivalMoms have set examples for us. Today, as our family stopped by the Donner Memorial State Park, I was vividly reminded of the rich heritage that is ours. I was a few minutes late for a nearly-antique video that told the story of western pioneers and the Donner party in particular. I’d heard the story of the Donners before, but one anecdote caught my attention. One of two families who survived the horrific ordeal was the Reed family. Young Virginia Reed later wrote about her mother, Margaret, hiding bits of food over a period of time so her four children could enjoy a special Christmas dinner. She lovingly combined a few beans, a bit of tripe, some bacon, and dried apples, and told her children that Christmas morning in 1846, “Today you can eat all you want.” The family had been slowly starving to death, their father had gone to find help, and I can only imagine what am amazing meal that must have been. Snow was piled twenty feet high outside their primitive cabin, their situation was dire, but in the middle of overwhelming fear and desperation, Margaret Reed thought of the one thing she could do to make her children smile. Perhaps for just a few hours, the five of them forgot where they were and the death that surrounded them. I’ll bet her children never forgot the moment, nor their mother’s love. I cried when I heard the story of Margaret Reed’s Christmas dinner. 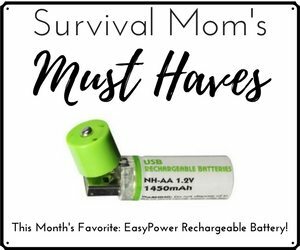 Isn’t it the perfect example of what being a SurvivalMom is all about? At the end of the day, it isn’t about how much we have stored or knowing how to can, knit, and shoot a rifle. It’s all about love. In the midst of a crisis, when my kids look up at me and say, “Mom, are we going to be okay?”, I want to be able to say, “Yes.” Isn’t that why you do what you do? 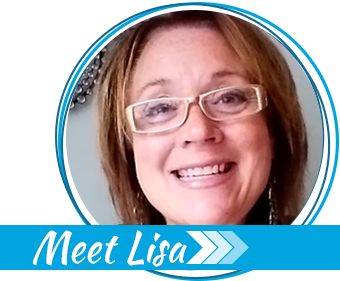 Being a SurvivalMom is about love, and we have the richest heritage of all. That is so true! My five children are what inspire me to be a survival mom. Yes it is. Love of my child keeps me on track and doing what I need to do. To survive, protect and keep on loving. Very nicely put thanks for a great article. Oh, good job. Yes, the only reason I prep like I do is for my kids. I will do any and everything in my power to prevent their suffering. Now, we don't have cable tv, and they don't do every sport and there is plenty of "suffering" in their little lives, but I'm talking about real hunger and pain. About not knowing if everything's going to be ok. Now, it might not always BE ok, but I want them to know that we are going to stick together and make it through as a family. The other thing I was going to say, is that we feel like the weirdos when we prep, when really it has been the last generation or two that HASN'T set aside provisions for the future, or tough times. Thank God I found this website….Now I know I'm not the only weirdo out there. LOL If you mention that you are prepping to anyone, they look at you like you are crazy. Sometimes I have to convince myself that this is NOT crazy. My question is this…..How did we fall so far from our roots in just one or two generations??? Was it in an effort to make our children so comfortable, now they do not know how to survive? In my family, we are exploring our roots. I have to admit that I feel sort of weird when I go shopping. Last night I made a special trip to the store to buy canned foods that were on sale. Since the price was low I bought a dozen of each item that I went there to buy. When I was checking out, the sales person commented on how much I was buying. I just said I was stocking up. People think this is strange today but it really isn't. It's just common sense. Even the advertisements tell people to "stock up" when it's on sale. Most people just don't do it. Absolutely! I wouldn't do a fraction of what I do if not for my kids! It's not about me. I'd prepare to save my own life, yes. Perhaps not quite so radically. Perhaps not so thoroughly. I have birthday candles and little gift items tucked away. I have freeze dried strawberries, and I'm alergic! My kids could darned well eat bland ordinary "survival food" and survive, but I want them to have something pretty, something sweet in their lives… because I love them. I don't want them to survive, I want them to flourish. Our generation does NOT know true suffering which is a blessing AND a curse. I don't want to imagine a scenario like Margaret Reed had to face, but NOT imagining that possibility would be irresponsible. The reality is our society is far more fragile than many want to believe. Our grandparents and great grandparents knew that; therefore they canned, preserved, and lived frugally. 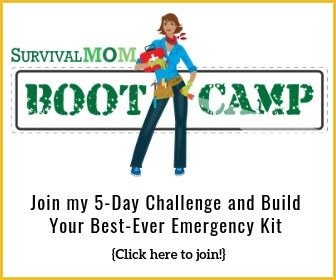 How many non-survival moms have less that 3 days worth of food in their homes? We are 9 meals away from societal chaos! This is exactly what I'm talking about! Your grandkids are lucky to have you for their grandma! My daughter's at college now. Before she left, I packed her an "emergency / bug-out bag" to take along, just in case. Later I overheard her telling her roommate not to worry, that with that backpack they were prepared for all kinds of emergencies, whether a loss of electricity or whatever. "My mom's put all kinds of stuff in there," she said. "A wind-up flashlight, extra food and water, a first aid kit . . . Heck, she's even put in some of those pills you take if there's a nuclear blast somewhere." Her roommate laughed a little, but the pride in my daughter's voice told me all I needed to know. She felt the love in the offering, even if she sometimes wonders if her mom's a little paranoid.